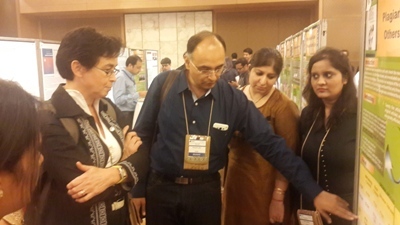 JCDR is an academically oriented entity from its very inception. In JCDR we firmly believe that in order to further the growth and development of our journal, we must continuously engage in academic and research activities. In accordance with this vision, JCDR sends its editorial team to participate in various national and international level conferences like WAME. 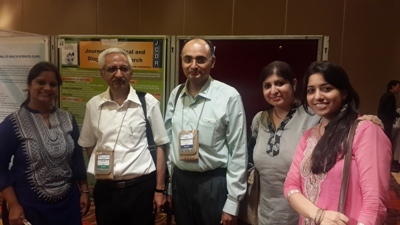 • World Association of Medical Editors (WAME) Conference at Delhi 2015. 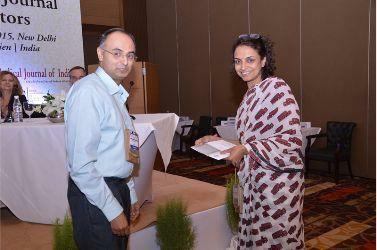 • JCDR actively participated in the conference. It presented six posters drawn out of its own experience and publication data. The topics ranged from plagiarism and to making the editorial process more automated and less time consuming for editors. 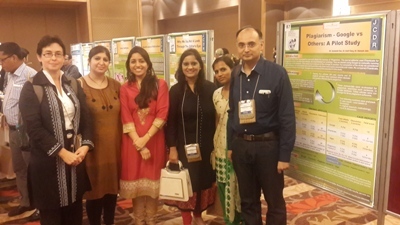 Besides presenting it own work it also promoted the event by conferring a 225USD award for best poster. This award was won by Parth Gada for his work on :An audit of RCTs published in two high impact journals in 2013 to assess compliance with the CONSORT statement 2010. 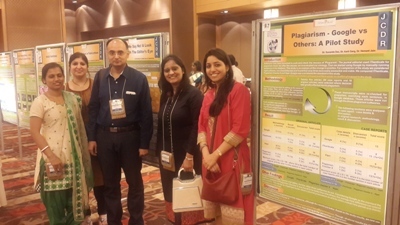 This poster detailed examples of duplicate publication attempted with cases being presented twice as different cases for publication with different views of same diagnostic images used for claiming the rare diagnosis. In this case report of dental specialty, the treatment outcome was said to be excellent and a supportive image was submitted. This image was later found to be morphed. It was discovered by astuteness of a copyediting editor. Narrating JCDR experience of conflicts of publication, and how we tackled the issues, arising out of fall out among authors. 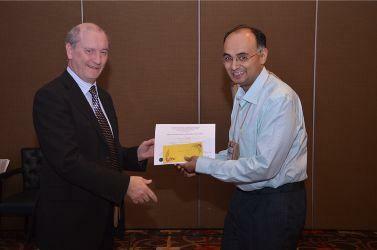 • JCDR also presented a best poster award. JCDR best paper award was won by Parth Gada (award accepted on his behalf) for his work on :An audit of RCTs published in two high impact journals in 2013 to assess compliance with the CONSORT statement 2010. 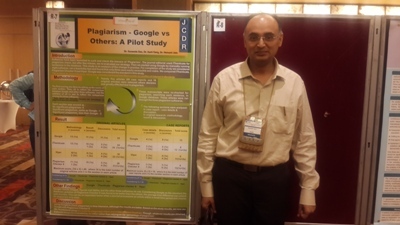 Later this work was published as a full paper in European Science Editing in 2016 Title: Google versus other text similarity tools in detection of Plagiarism: a pilot study in the Journal of Clinical and Diagnostic Research. • JCDR published an editorial titled Why We Say No-A look through the editorial eye.